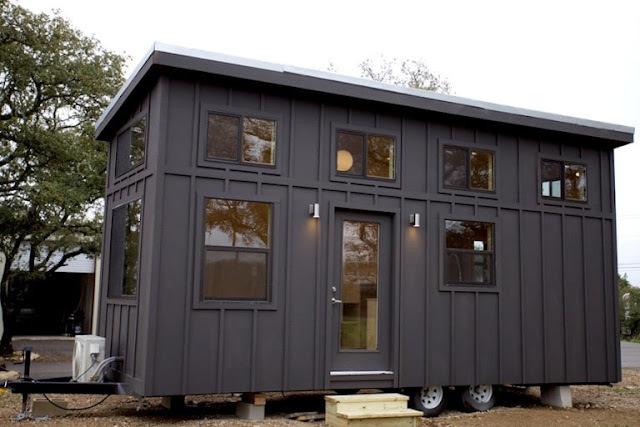 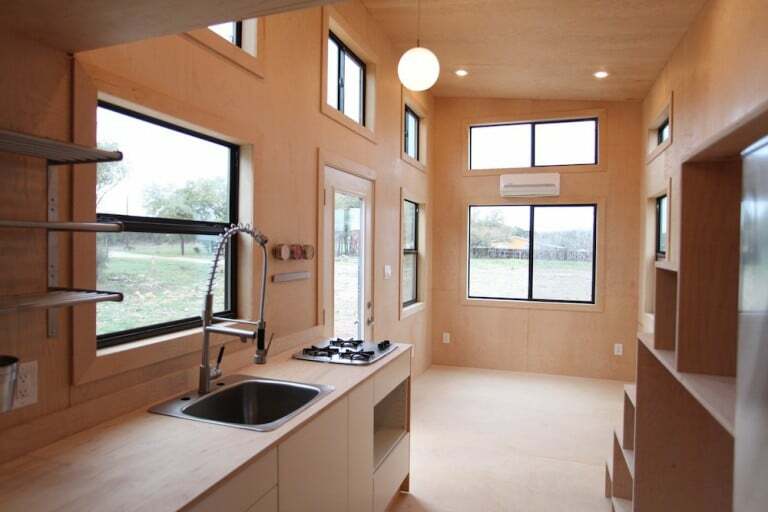 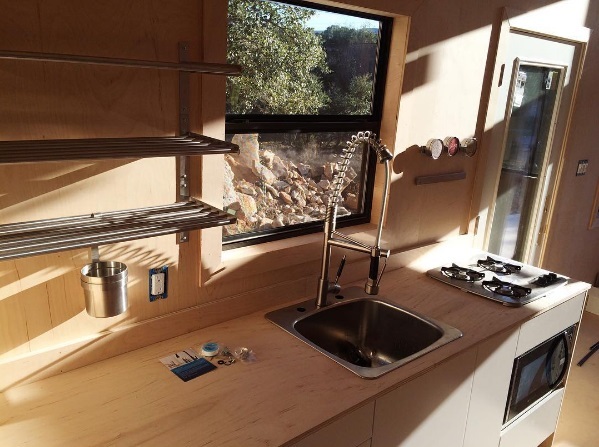 This pretty, modern home is built and designed by Nomad Tiny Homes of Austin, Texas. 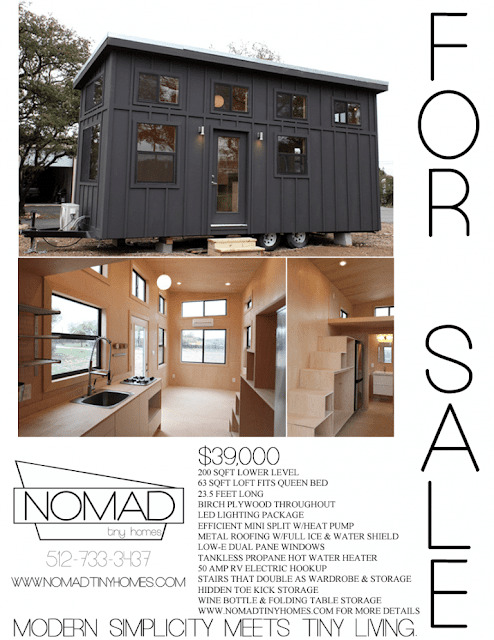 Named the "Black Pearl", the home measures about 200 sq ft on the ground floor with an additional 63 sq ft of space in the loft. 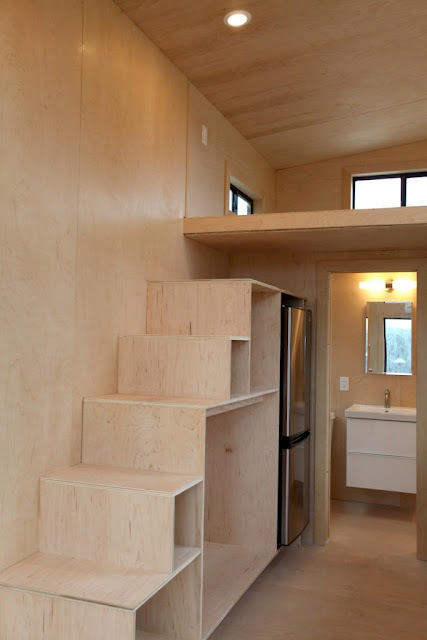 The bedroom is large enough to fit a queen-size bed, and is accessible by stairs that also double as shelving space. There's also a full kitchen, a bathroom, a snug living room space, and plenty of storage throughout the home. 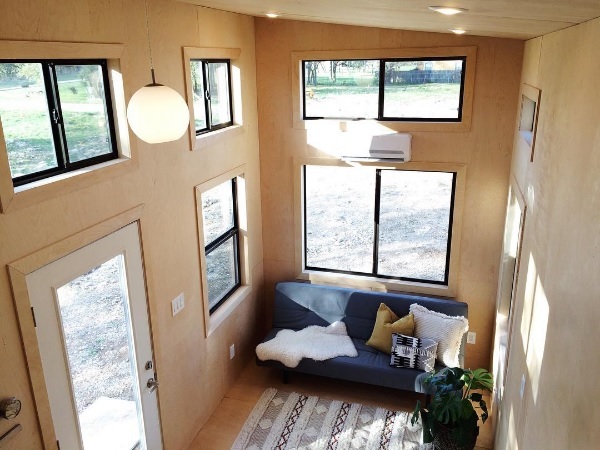 The home was listed for $39,000 and sold.